Clicking on the Quilt title next to each picture will direct you to our Etsy Store where quilts can be purchased. 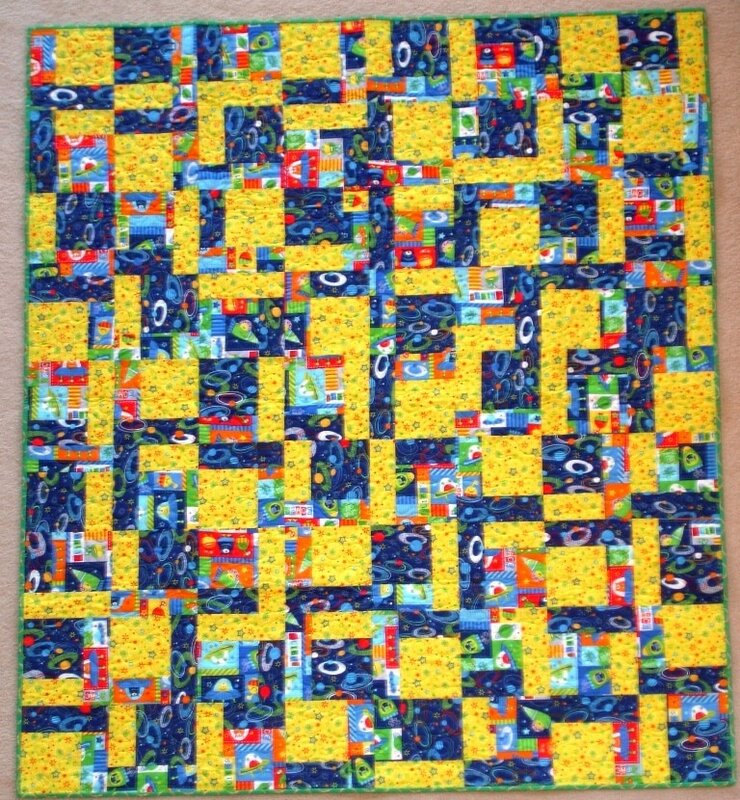 This quilt is made with cute Alien fabrics, with flying saucers, aliens, and stars. It has a green "crop circle" backing fabric and binding. 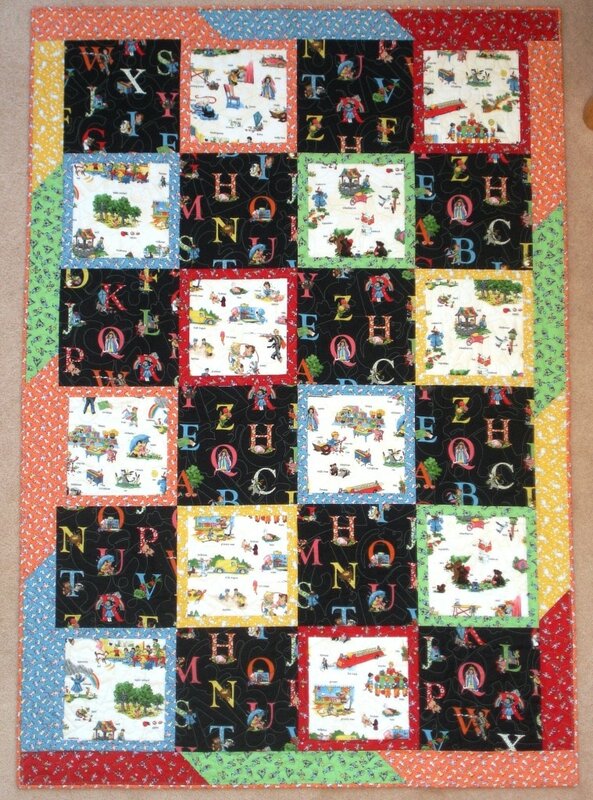 This children's quilt is made with adorable "A Is For..." retro fabric with coordinating 30's fabrics. The white has vintage looking pictures with words and the black has big Alphabet letters. The back is the same Alphabet fabric and the binding is a matching orange.